Special Representatives' talks are regarded as highly significant by both countries as they cover all aspects of bilateral relations besides making efforts to resolve the border dispute. The last round of talks took place in the immediate backdrop of last year's 73-day standoff. 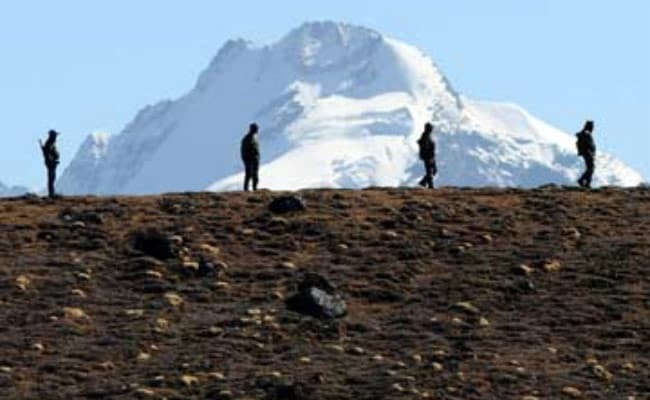 The 21st round of India-China border talks led by National Security Advisor Ajit Doval and Chinese State Councillor and Foreign Minister Wang Yi will be held in China next month, informed sources said in China. Both Mr Doval and Mr Wang are designated Special Representatives for the border talks scheduled for November 23-25. This will be the first round of talks for Mr Wang who earlier this year succeeded Yang Jiechi as state councillor in a reshuffle. While the dates have been finalised, the venue for the talks, which are expected to held outside Beijing, is yet to be finalised, the sources told PTI. The India-China border dispute covers the 3,488 km Line of Actual Control (LAC). China also claims Arunachal Pradesh as part of southern Tibet. Officials on both sides maintain that though a solution to the border dispute still eludes the two countries, a lot of headway has been made in the 20 rounds of talks so far in terms of working out mechanisms to restore peace and tranquility along the border to resolve tensions due to aggressive patrolling by troops. The last round of talks which was held in New Delhi between Mr Doval and Mr Yang took place in the immediate backdrop of last year's 73-day standoff between the two militaries at Dokalam over the Chinese military's plan to build a road close to India's strategic Chicken's Neck corridor that connects the northeastern states. The standoff ended after the People's Liberation Army(PLA) halted plans to build the road. The meeting between Mr Doval and Mr Yang also prepared the ground for the informal summit between Prime Minister Narendra Modi and President Xi Jinping at Wuhan in April this year, which resulted not only in normalisation of relations but gave a new fillip to the improvement of relations in all spheres of relations notwithstanding the border dispute. Since then both countries have held several rounds of talks to enhance India's exports to China to reduce the USD 51 billion trade deficit as well as improving military-to-military relations. Indian Ambassador to China Gautam Bambawale said last month at a meeting that India-China military exchanges grew rapidly after the Wuhan summit. Since then military commanders from both sides are now talking to each other more frankly and more candidly than ever before, he said. Chinese Defence Minister Gen Wei Fenghe had visited India in August, met PM Modi and held talks with his Indian counterpart Nirmala Sitharaman. The Chinese defence ministry said after Mr Wei's visit that both countries are discussing a new version of a Memorandum of Understanding (MoU) on defence exchanges and cooperation to improve on the 2006 agreement besides establishing a direct confidential phone line between the two defence ministries and strengthening communications at all levels.